My kids love to do puzzles, so I like to find ways to make them cheaply and also maybe sort of teach them something. 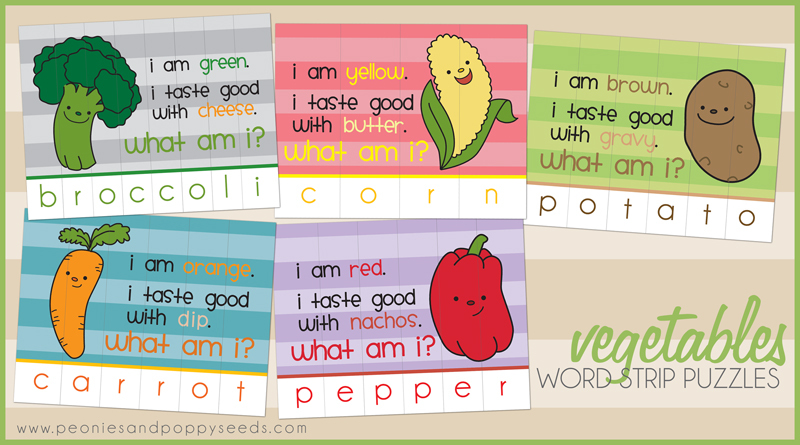 These printable wordstrip puzzles have vegetables on them - they include a riddle about each vegetable and spell out the word as the puzzle comes together. Make sure to print these on thick paper and then laminate the pieces so that they last longer in the hands of little kids. 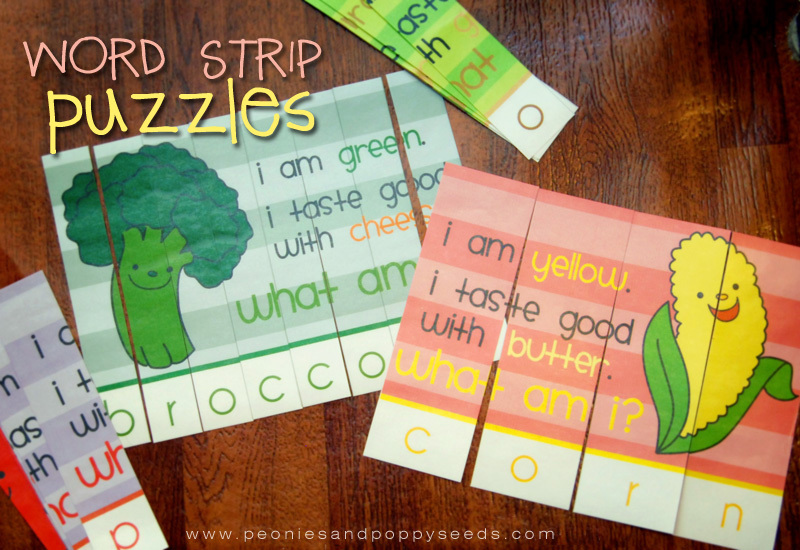 Check out our animal wordstrip puzzles too!